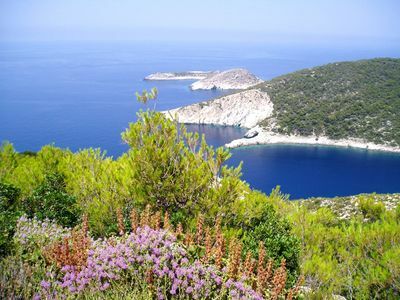 Villa Thais is located in the south-eastern area of the island, known to be one of the most natural and quiet parts of the island. 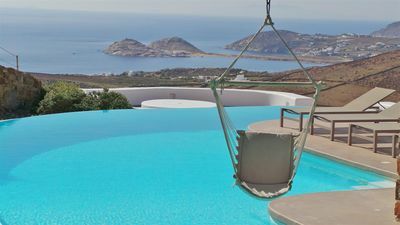 Nestled on a hill above Lia beach, Villa Thais offers superb views over Paros, Naxos and the Aegean Sea. Lia is one of the most beautiful beaches in Mykonos with its blue waters and white sand. The beach is surrounded by rocks, making it a great spot for a wide range of water sports. 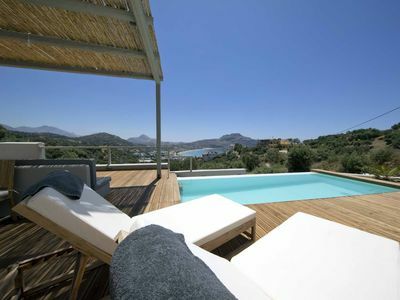 Villa Thais is the perfect getaway if you want to unwind and enjoy the Greek sea and sun. 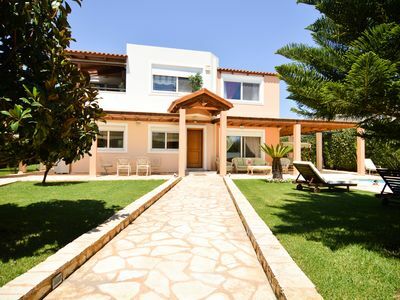 Villa Thais develops over three levels with main entrance on the ground floor. Two twin bedrooms (convertible in double) with en-suite bathrooms with shower. They open onto a terrace with sea views. Living room, dining room and kitchen. 2 twin bedrooms with en-suite bathrooms with shower. These two bedrooms have independent entrances. 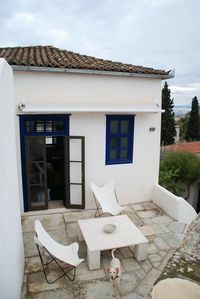 One double bedroom with en-suite bathroom with shower and direct access onto a private balcony with sea view. 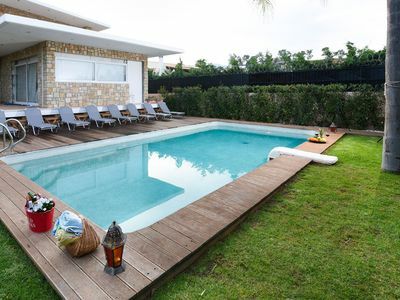 Outside area: private infinity pool, BBQ, shaded pergolas with outdoor living and dining areas, private parking. 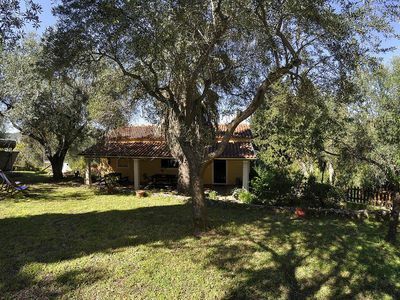 Facilities: private pool, internet WIFI, fully air conditioned, BBQ, sat TV, DVD player, oven, fridge/freezer, microwave, dishwasher, kettle, toaster, coffee maker, private parking. Daily maid service, change of linen and towels every second day included. Laundry service (extra cost may apply). PAYABLE LOCALLY: REFUNDABLE SECURITY DEPOSIT TO BE CONFIRMED AT THE TIME OF BOOKING. LAUNDRY SERVICE - EXTRA CHARGES MAY APPLY. 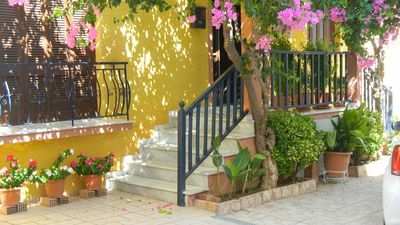 GARDENHOUSE (90m2) NEAR CENTER AND BEACH, special for a fine family holyday !! !